As seen on ITV's Midsomer Murders! 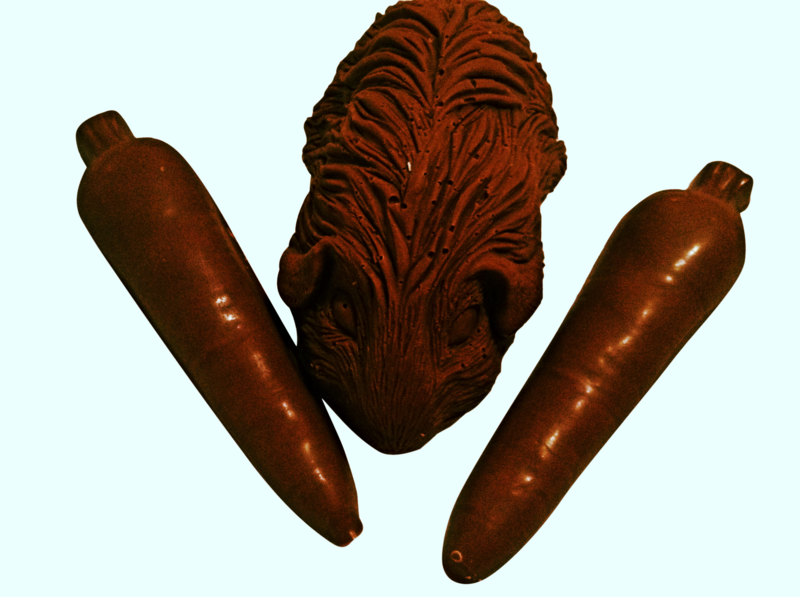 Novelty chocolate guinea pig 120g and carrots 50g handmade to order using the finest Belgian chocolate. Individually wrapped in cellophane and tied with a ribbon. Personalised labels available at no extra charge. This is such a unique gift and is difficult to find anywhere else online! The perfect gift for guinea pig lovers! Please note that this chocolate is solid not hollow. My daughter is absolutely bonkers about guinea pigs (we have 7!) 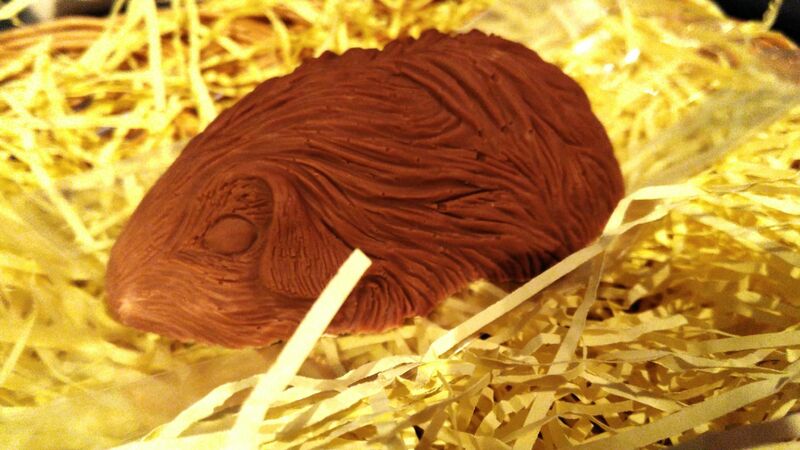 So what could be more perfect than a novelty chocolate guinea pig and some carrots? The chocolate was tasty and beautifully packaged. Thank you!